We are monitoring some hardware that as you add customers... it adds interfaces to monitor. A few of them are getting to the point that they have 3k+ interfaces. 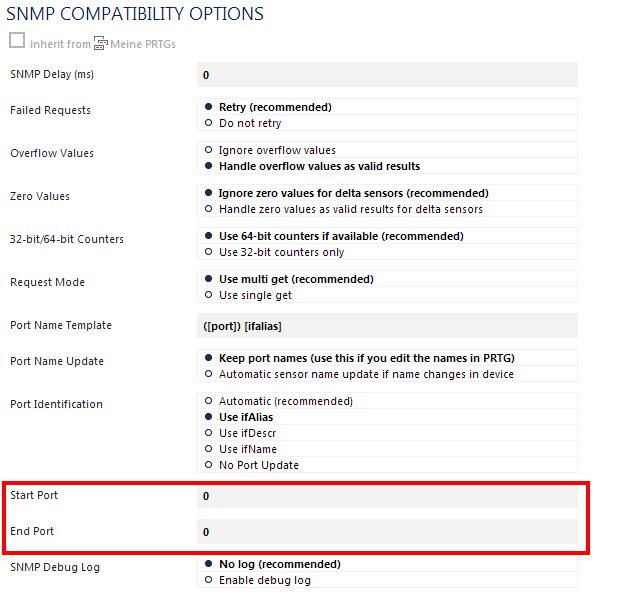 We use the SNMP/Bandwidth Monitor sensor to monitor the bandwidth and availability but are only adding select interfaces. For example, we are currently monitering 99 interfaces on one of these devices but snmpwalk shows there is 4067 available interfaces. The problem though is once the device gets in the 3k range on interfaces the add sensor discovery for SNMP Bandwidth Monitor hangs and after several hours (sometimes 24 hours..) it finally comes back timing out. I'm guessing it is doing the walk, and then going back and polling each interface number for all the various information it uses to populate the selection table.. Is there any recommendations to be able to tweak this to still work when there are so many interfaces on the device?